Researchers believe skilled workers, not slaves, built the pyramids at Giza, Egypt. There has never been a shortage of theories on who built the Egyptian pyramids at Giza and how, in the absence of modern heavy equipment, they built them. Recent excavations have led experts to conclude, however, that the pyramids were, beyond a doubt, manmade. 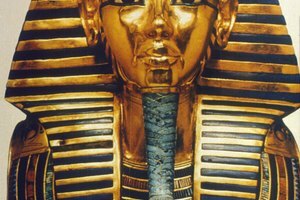 And the builders, researchers believe, were not super-humans or slaves but ordinary Egyptian citizens. Arguments linger, however, over whether the pyramids are constructed of carved stone or cast material. The Giza plateau complex is home to several monuments, most notably the Great Pyramid, built as a funerary structure for the pharaoh Khufu. Until the beginning of the 20th century, the Great Pyramid was the largest structure in the world. The Great Pyramid is surrounded by mastabas, burial structures for Khufu's relatives and other important people. Next to the Great Pyramid are three small pyramids for Khufu's queens. The other major pyramids in the complex belong to Khafre, Khufu's son, and Menkaure, Khafre's son. The sphinx stands guard over Khafre's pyramid. Researchers believe the Giza complex was constructed about 4,500 years ago. Egyptologists Mark Lehner and Zahi Hawass believe construction of the pyramids at Giza was something akin to a national project. There was a permanent crew working on the complex year-round. Among the laborers were skilled craftsmen who were adept at cutting stone. Farmers whose fields could not be worked during late summer and early fall, the Nile's flood season, also came to work on the pyramids. Other laborers rotated in and out, and were probably brought to the site as citizens performing a civic and religious duty for the glory of their god-kings. Lehner and Hawass estimate that about 30,000 laborers were involved with building the Giza structures. Lehner's excavations have revealed two worker villages, complete with a bakery, fish-processing facility and sleeping quarters. Large amounts of animal bone were found on the sites, indicating the workers were well-fed. 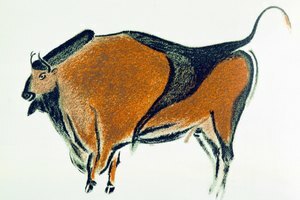 The discovery of cattle bones indicates that many of the workers were highly regarded, because cattle had to be brought in from distant areas of Egypt. Some of the skeletal remains found on the sites indicate workers received medical treatment. These findings, researchers say, is additional evidence that the laborers were not slaves. Writings resembling graffiti have been found on the pyramids. Translations have led Egyptologists to conclude laborers were divided into crews that may have competed with one another. 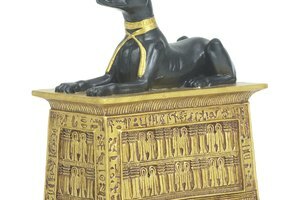 Inscriptions attributed to one group have been found on one side of a pyramid, while writings associated with a different group have been found on the other side. One inscription translated as "Friends of Khufu," while another translated to "Drunkards for Menkaure." 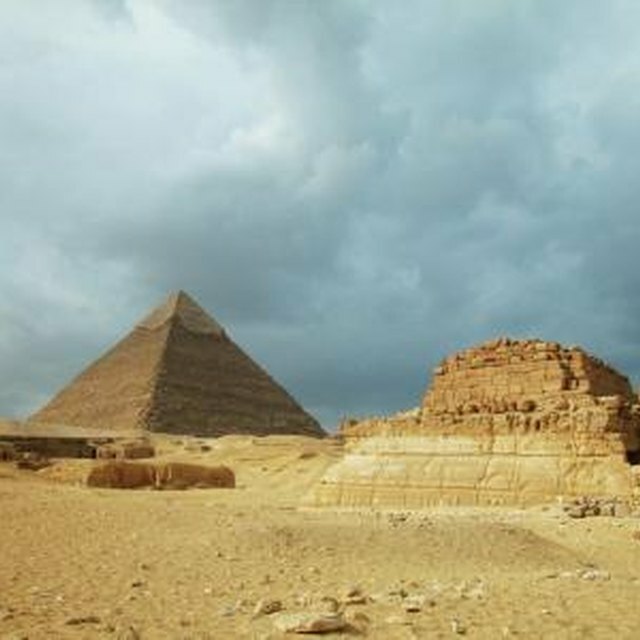 Mainstream archaeologists such as Lehner and Hawass have held that the pyramids were constructed from stone hauled by laborers from quarries on the slope below the Giza plateau. Granite and gypsum mortar was brought in from other areas. They believe the stones were cut at the quarry, finished at the pyramid site and hoisted into place with ropes. Michael Barsoum, a ceramics researcher, disagrees. Barsoum says tests he conducted on pyramid blocks show some of the blocks, particularly at the pyramids' summit, were cast out of a limestone mixture. This, Barsoum said, is the only way to explain the perfect alignment of the blocks and how laborers were able to set them at the higher levels. 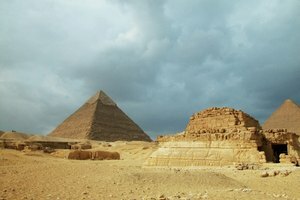 PBS.org: NOVA: Who Built the Pyramids? 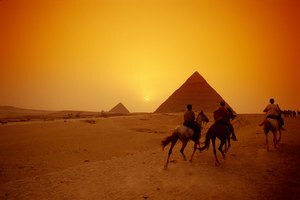 The New York Times: Africa: Did the Great Pyramids' Builders Use Concrete? Leddy, Laura. "Theory of How Egyptian Pyramids Were Made." 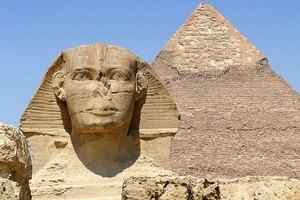 Synonym, https://classroom.synonym.com/theory-egyptian-pyramids-were-made-5293.html. Accessed 25 April 2019.